A couple new books have come out that you need to hear about. 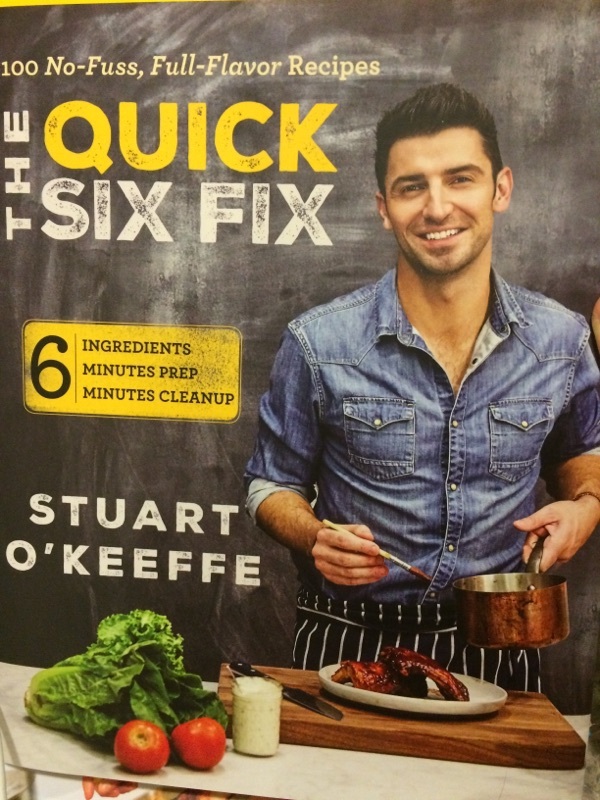 First up is Chef Stuart O’Keeffe’s new book The Quick Six Fix. 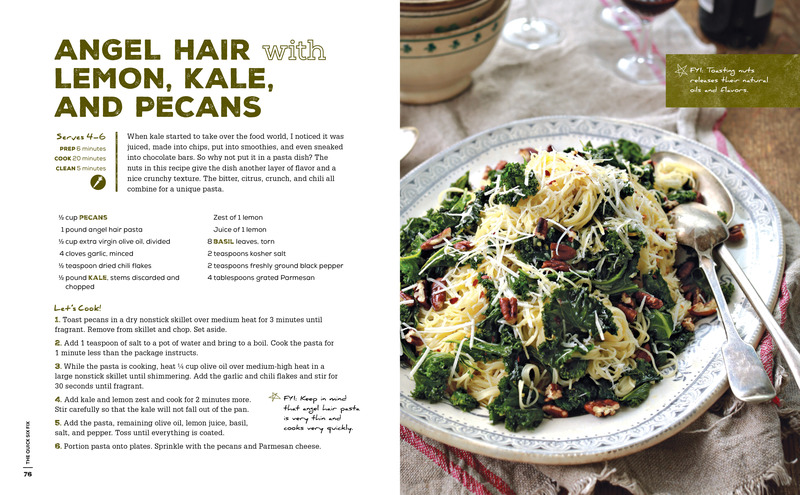 I love the idea of having a short ingredient list to create great meals. When I opened up the book, I figured out how it all works. You start by making sure your pantry is stocked up with the basics. So many of us home cooks have most of the pantry basics, but he’s really put together a nice list that gets us covered. I was a little confused because his recipes do have more than six ingredients; however, most will come out of your pantry basics. There will be a couple ingredients in BOLD and those will are counted as one of the “six extra” ingredients. Honestly, if you buy the pantry staples that he recommends, you will not have trouble following these recipes because the vast majority that I perused used two or three ingredients outside of the pantry basics. I didn’t know who Chef Stuart O’Keeffe was, but he’s Irish and so that’s all I needed to know with St. Patrick’s Day coming up! 2. Add 1 teaspoon of salt to a pot of water and bring to a boil. Cook the pasta for 1 minute less than the package instructs. Yum, soup! I’m a huge soup lover, though I mostly use the crockpot for soup because I’m pinched for time during the week. I love making them and I’m happy to report my husband and oldest son love my soups. My youngest son does not normally like to try soup at home. However, at daycare/school he eats soup everyday for lunch. They report that he’s their most enthusiastic eater. Oh well, I’m confused. 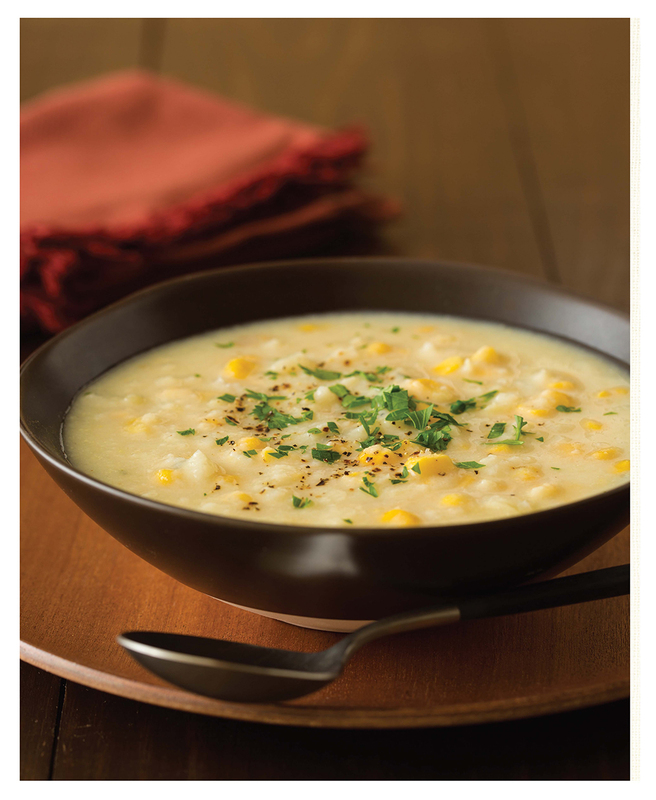 I never thought about soup as a weight-loss tool, but it makes sense. I really like how this book is structured because it walks you through various types of soup detoxes with different levels of intensity. The pictures make the soups look really good and I noticed that there are also other recipes as well for salads and vegetable-based fare. Heat ghee in a large pot over medium heat. Add the garlic and sauté for about 2 minutes. Add the onion and cook 10 minutes, until softened. Add the potatoes, corn, broth, and coconut milk and simmer for about 1 hour. Do not allow the soup to boil. Stir in the thyme and turmeric, if using, and cook 15 minutes more. Season with salt and pepper to taste and serve. To be entered to win one of these cookbooks, comment below with the name of the cookbook that you would like to win and why! Thanks! Winners will be announced on Monday March 7th. Oh I would love to try The Quick Six Fix. I agree with the short ingredient list! It makes shopping so much easier. 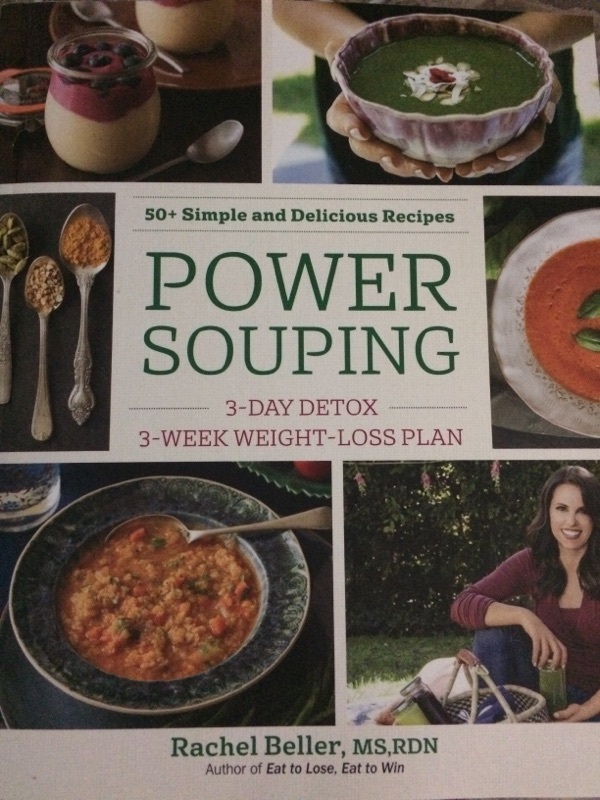 I would like to win the cookbook “Power Souping” because I have been on a weight loss journey since Sept 14th 2015 in which I have lost 31 pounds so far. I still have weight to lose and I think this cookbook would give me fresh ideals on making healthy soups for lunch and dinner. I am sure I could also benefit from a 3 day detox as well. The Quick Six Fix cookbook sounds like my kind of thing. I’m already drooling over the recipe you posted already! Gotta get my pasta fix! The quick power of souping.